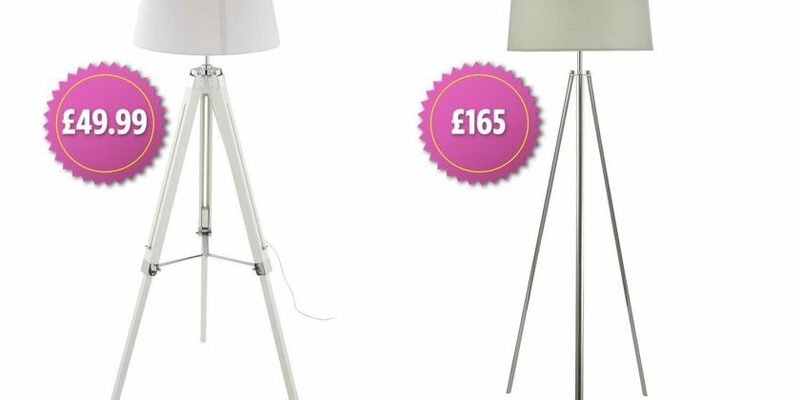 The line includes a retro tripod floor light which looks just like House of Fraser's £165 version – but is a fraction of the price at £49.99. If you don't have the floor space, shoppers can also pick up a tripod table lamp for just £24.99. The limited-edition range goes on sale on Thursday – with some pieces already available to pre-order online. If you're after a retro decor vibe, Aldi is also selling a stylish DAB and FM radio, costing £29.99, which is available in duck egg blue, sage green, dove grey or cream. Or snuggle up this winter with a range of pastel throws, costing £12.99, designer candles, which are a cool £3.99, and cosy cushions at £5.99. There's also a shaggy rug, which costs £16.99, so you can transform your home into the ultimate hygge hideout. You can shop the full range here. Aldi has also launched a bouquet of roses that will last for a whole YEAR – but they will cost you £50. While the supermarket's popular £10 Jo Malone dupe candle is back in stock for Valentine's Day. Aldo is selling a bucket bag for £50 and it looks just like Danse Lente's £295 designer version – can you tell the difference?